So far the beginning stages of weaning have been bitter-sweet which is no surprise. Every new stage that Josselyn begins, definitely brings about a flood of mixed emotions for this mama. 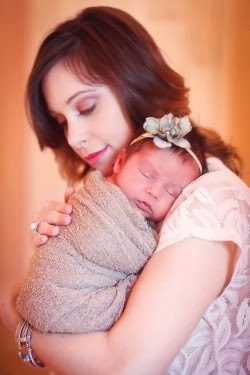 The "bitter" part of weaning that I am having to accept is the fact that, my first born child is indeed GROWING UP & becoming a toddler instead of a baby :( However, it is "sweet" because I did decide to breastfeed for 1 full year & to be honest and blunt I am ready to have "lavern & shirley" back to myself, lol If you can not figure out who lavern & shirley are then you may have to go back & read some of my old pregnancy blogs lol I am extremely glad I made the choice to breastfeed for the entire first year but I am ready to have a little more freedom back! If you read my blogs then you know that Josselyn would not even drink pumped breast-milk from a bottle for over 6 months and even after that sometimes she just chose to starve instead of drinking from her bottle. Anyway, I am doing good with the emotional part of weaning but I am unfortunately very CONFUSED & overwhelmed with which "milk product" to wean her to!!!!! I love getting other mothers feed back; so feel free to comment or email me (sherilynna@relevantlife.com) if you have any suggestions on what type of milk to transition her to. So far I have been trying to introduce Josselyn to both organic whole milk & almond milk. Unfortunately she thinks it is funny to spit both of them out... Some days I am lucky and she will take 4 or 5 sips of the milk but other than that she seems to HATE ALL MILK! 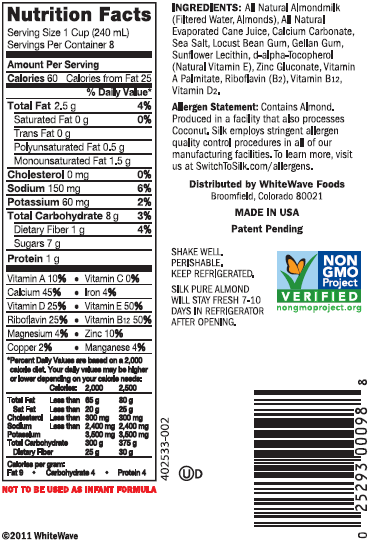 I have heard tons of positive things about almond milk. 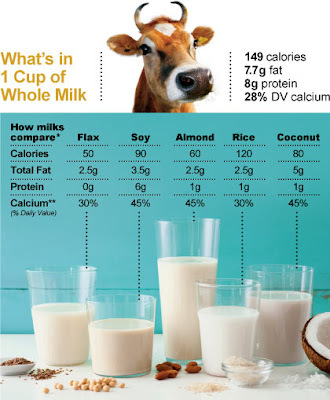 It has more calcium than cows milk as well as other vitamins that cows milk does not have (like Vitamin E). 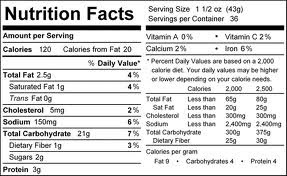 The negative seems to be that it does not have as much fat, carbohydrates and calories as whole milk. However that may not matter if I supplement by giving Josse other healthy high fat foods like avocado, egg yolk, etc. 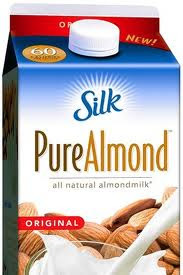 Hmmm.... Almond milk keeps sounding better and better! 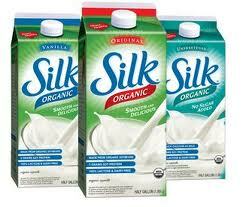 I keep hearing mixed reviews about soy milk. 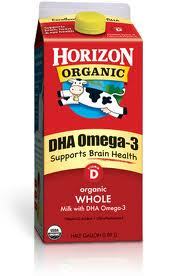 My nurse said that if I do not give Josselyn cow's milk then the next best milk she would recommend is soy milk. However, online I keep reading about how recent studies are showing that soy milk has unhealthy high estrogen levels etc. 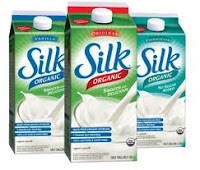 I am definitely not educated enough on the ingredients etc in soy milk to have my own opinion yet, so I am going to definitely do some more research on soy milk. I am not very familiar with rice milk. I have read on a few sites that rice milk is very easy on infants tummy's, but it does not have enough fat, etc and it is high in sugar. Once again I am going to have to research more about rice milk especially since I have some very close family members & friends who gave their little ones rice milk and they had nothing but positive things to say about rice milk. It seems like goats milk is recently becoming more popular. I have read that it is the best mammals milk to give an infant other than breast milk. I have also heard that it has a distinct, strong, taste that some children do not like. 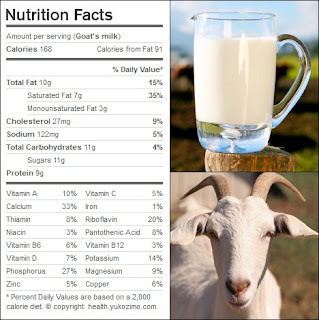 I have honestly never really considered goats milk but I guess it could be an option..
Well those are the milk options that seem to be the most popular for infants. However I have read a little about coconut milk, raw milk & flax milk but it does not seem like those are as popular choices for infants. With all of this said, I am by no means a milk pro & I definitely have a ton of research & reading to do on all of the milk options out there. Once again, if you have any advice or you would like to share you thoughts I would love that! I know that every mother has a different opinion and ultimately I have to chose what I feel is best for my daughter but I still LOVE hearing other educated mothers feedback! Wish me luck with this whole weaning thing!!! If it makes you feel any better... Kiptyn wouldn't wean to milk either and he's 2 now and has still not taken a bottle of milk. He hates ALL milk, and our pediatrician was fine with it. By the time they're one they're starting to get nutrients from other things now, so I wouldn't worry about it. I tried all kinds of milks, but he refused. So when he would wake up starving at 5 am, as weird as it seemed, I would stick a snack cup of cheerios and a sippy cup of water into his bed and he was perfectly happy. It definitely hasn't stunted his growth - he's VERY healthy and growing. 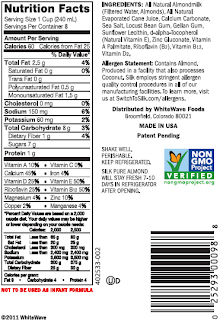 My caution about Almond milk would just be the whole "don't try nuts until they're at least 2" for allergy reason. 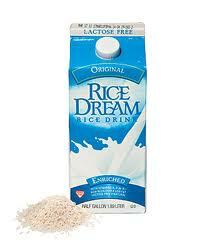 And Dr. Nabulsi doesn't recommend rice milk at all because it lacks so much nutrition.